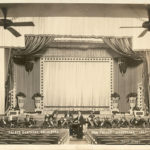 Palace Theater on the Westside of San Antonio, where Cenobio conducted and performed. 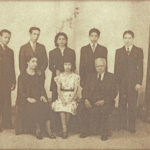 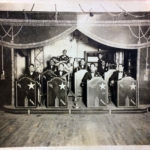 Cenobio’s grandchildren have gone on to have careers in music. 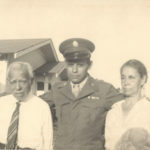 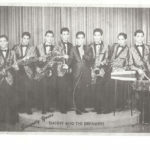 This photo of Danny and the Dreamers features Cenobio’s grandson Ricky Hernandez (second from right). 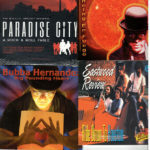 A collage of covers from albums recorded by Cenobio “Bubba” Hernandez, one of Cenobio’s grandchildren and a grammy-award winning musician and founder of Brave Combo. 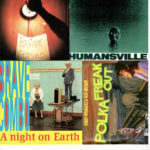 Collage of albums by Bubba Hernandez. 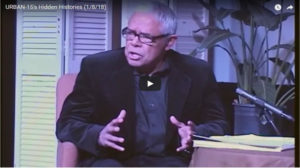 Cover of a DVD about Cenobio’s life and work, produced by one of his granddaughters. 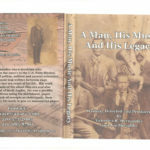 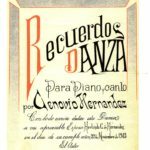 Cover for a CD of Cenobio’s Music, produced by his grandson Ricky Hernandez, who performs Cenobio’s piano pieces. 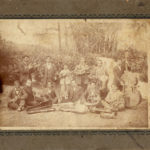 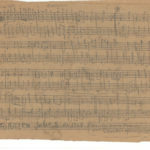 Front side of an unnamed composition by Cenobio Hernandez. 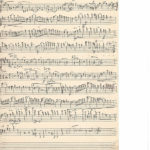 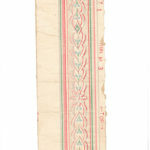 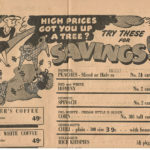 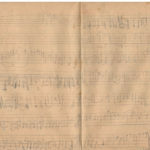 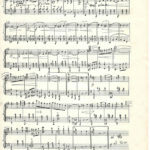 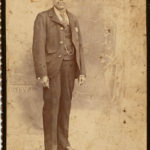 Back side of an unnamed composition by Hernandez, who often wrote out his compositions on the back of newspapers and paper bags, as in this photo. 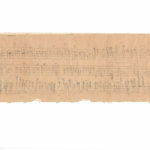 Sheet music written on the back of a piece of wallpaper. 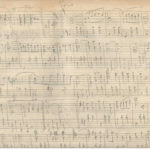 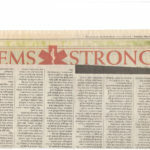 Front side of wallpaper used to compose music. 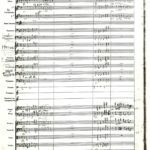 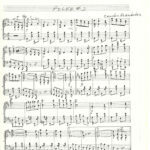 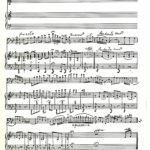 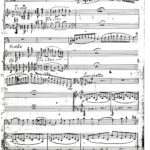 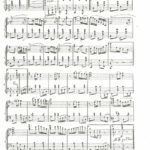 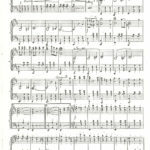 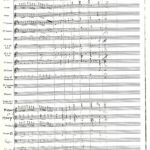 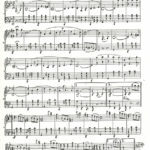 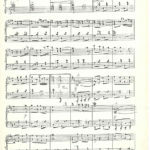 Sheet Music for “Rosario.” Cenobio often composed pieces for family members, whose names then became titles. 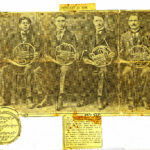 French horn quartet from the San Antonio symphony, whose caption comments on its international aspect. 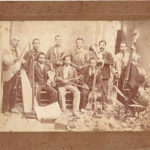 Page 2 of news clipping on the significance of the WPA’s Orquestra Tipica.